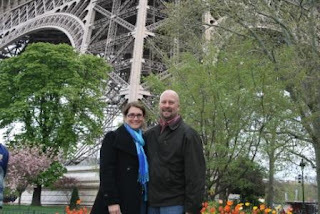 This picture is me in Paris with my husband, Spring 2008. When I was younger, I studied French for six years and spent a semester in college there, so I used to speak French really well. My experience with the language on our last trip went something like this: I would begin speaking. The person I was speaking to would stare and her eyebrows would draw together in confusion. Within a few seconds, he or she would either laugh and kindly switch to English, or gently correct my French until I was saying the right thing. Generally our conversation was accompanied by blushing (me), lots of hand gesturing (the French), and a few chuckles (my husband). My husband and I love to travel but we travel very differently. He likes an itinerary mapped out minute by minute. I like to wander down side streets and into shops and bakeries (lots of bakeries). After twenty years of marriage, we’ve finally figured out that for a successful vacation, we need to build time into the schedule for both of us. 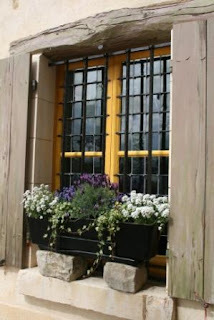 That way he doesn’t panic when I start down a hill because I see a cute window-box and I don’t get stressed because my free-wheeling personality is being curtailed when every minute is planned. But it took some serious talking to get to this point. Language is important for one reason. Communication. • Know what you want to say--this is especially important when you’re speaking a foreign language like man-speak (if you’re female) or female-speak (if you’re male). 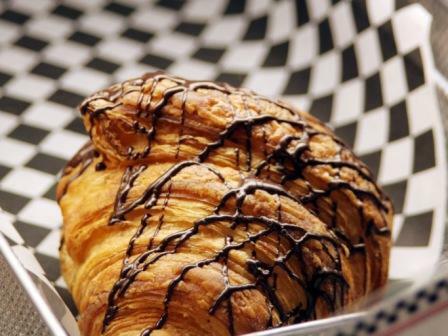 • Listen carefully--no matter how temptingly distracting those chocolate croissants are, nothing can replace good listening as a communication skill. • Pay attention to nonverbal cues--words may be different around the world but facial expression and body language isn’t. • Mind your manners--being polite is always in good taste. With some communication, we figured out the secret for a successful vacation. Our trip to France was the best. I did great with the language, by the way. I only ended up with raw fish on my salad once. I’d love to hear your stories about miscommunication or overcoming miscommunication! Stephanie is giving away a copy of her current release, Flashpoint to one person who comments before Sunday midnight, July 25th. Please include your email address using (dot) and [at] so the net spiders don't nab you. 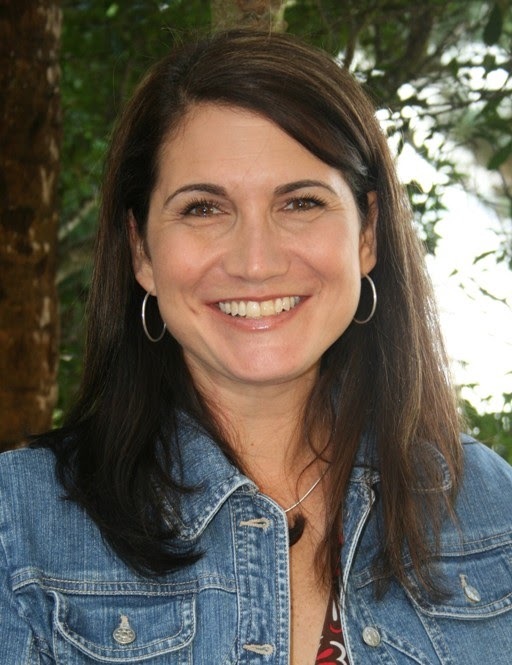 Award-winning author Stephanie Newton lives in Florida with her husband and two teenagers. She regularly practices her language skills on unsuspecting foreign exchange students and tourists. 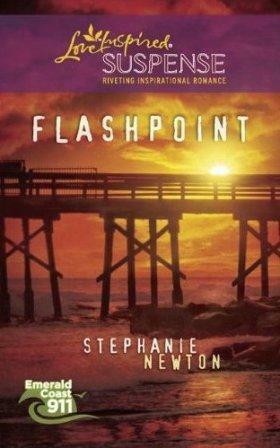 Flashpoint, the latest book in her Emerald Coast 911 series, is available now. Thank you for spending the day with us, Steph. Stephanie, you used one of my favorite words in the English Language: Bakery. Thanks for joining us today at the Inkwell and sharing your trip to France. My only foray into foreign language is two recent semesters of Spanish. I can read it 'slightly' and would have to use 'mas despacio' often if I were ever to brave a conversation. Thanks for offering up a copy of Flashpoint. Love the cover! Sorry, missed everything after the crossaint. J'adore chocolate crossiant, and you just can't get them in Virginia. I went to Paris two years ago with my husband for a work trip. I think it's my favorite city in the world. My French is pathetic, and therefore easy for people to ignore. Like, I know the waiter understood that I wanted a "cup" of water, but since I didn't know I had to say "carafe" for free water, he gave me a $6 bottle with a cup. It takes courage to go into another country and try to speak their language when you're not fluent. I remember visiting Paris years ago. Neither my husband nor I spoke French although we'd tried to learn a few words in preparation. Most restaurants had the menus printed in French and English side-by-side, but in one, it was all French. What to do? The waiter told us to trust him and he ordered for us. I don't recall what we had to eat, but I know it was a tasty meal. Thanks for visiting, Stephanie! What a fun post. It makes me want to brush up on my Spanish. Reading this post made me hungry, though, and the banana on my desk looks downright unappetizing. I want a croissant, mmmm. Your new release looks wonderful! Congrats and thanks for offering a copy. Thanks for sharing your communication tips! Traveling together as a couple is hard for my husband and me. He has no sense of direction (the man gets lost in the hotel) and still wants to lead the way. I dream of going to Paris. But when I do, I think I want to go with my best friend. She and I travel together well. Hubby can go somewhere HE wants to go! Patricia! Hey, it's great to have you pop in. Sometimes it's just better not to know what you ate! I'll ask you and Stephanie - would you go back to Paris again or visit a different place in Europe 'next time'? What a wonderful post and blog, I'm glad I found you through Words Crafter's blog. I'll be back! Olivia! thanks for visiting. Glad you found us. Love your blog name, too. I hope to hop on over later and take a look. Are you a fan of Love Inspired Suspense or any particular genre'? Steph, thanks so much for taking the time to blog with us when I know you have deadlines. I love reading your books and I'm so eager to meet you in Orlando. If I just stare at you, though, it's because I'm dumbstruck and don't know what to say first because I have so many questions and comments about your writing. That's the problem with meeting authors in person - I want to know what they know. And you've always been so warm and open... just slap me on the side of my head if I start prattling on, okay? Hi there! Your post brought a memory slamming back into my mind I hadn't thought of for years. I'll try to make this brief. I was studying in England in 1976. I know, you probably weren't even born yet. :) One of my American friends went to Paris to meet another friend. After taking the SeaLink across the choppy waters of the Channel(no tunnel then)we got a train. We sat down, ahem, in first class. :) We didn't know we were in first class, I was 17 and very naive. When tickets were collected though we found out fast! The man yelled at us in French, no one tried to help us out, and we thought he was going to throw us off the train. He marched us back to the last car which was a far cry from first class. Talk about communication problems! We were so embarassed and felt really stupid for not knowing the language at all. Thank God our friend in Paris did. Well ladies, I've never been outside of Canada except to the States (as we call the US up here), but I hear French everywhere. Not so much here on the prairies, but Canada is a biligual country with both English and French as official languages. As such, French is a school subject on the same par as the 3 R's up here. I'm not saying we all speak it because as soon as I was able, I switched to typing and that's dating me because we didn't get typing until Gr 10 back then. I suppose if I was successful learning the language it would've been different, but I just couldn't remember which things were male and which were female. It wasn't logical to me. From what I understand, though, the French spoken in Canada is very much different than the French spoken in France. This could be due to dialects as we've evolved quite a bit since the French explorers first settled in Canada over 400 yrs ago. Thanks for stopping by the Inkwell. I'm with you on spontaneous travel, and my hubby...sides with your hubby!!! But I am slowly converting him! Sounds like a great new book. Patricia, have you heard about the language rules in the province of Quebec, Canada? Every sign has to be either in french or french/english. You get fined if you have an english-only sign even in the communities which are predominantly english speaking. This came about in the 80's after the province failed in their referendum to separate from the rest of Canada. Separation would have left the Maritime provinces floundering on the east coast, cut off from the rest of Canada. So when that bid failed, the politians instituted the new language laws. They say it's because they're worried Quebec will lose it's culture and traditions. From my friends and cousin who reside in Quebec, however, I've come to believe that their traditions and cultural differences are ingrained since birth--it's always been Quebec vs Canada, French vs English. The main difference, of course, is that the French are mostly of the Roman Catholic faith and the church plays a huge role in the government unlike the rest of Canada. But if you want to practice your French, visit Quebec and especially the international city of Montreal (close to New York). Thanks for stopping by Steph, and for offering a copy of your book. Loved hearing about your trip. Can so relate! Hi y'all! Thanks so much for having me here at Inkwell Inspirations! My family was traveling home from an out-of-state adventure, so I apologize for my tardiness! Debra, my absolute favorite thing about Paris is the bakeries. One on every block and they all smell divine. Eek! Dina! $6 dollar water sounds like a misunderstanding I would stumble into! Patricia, you are right. Traveling in countries where you don't speak the language can be very scary! I always try to find a translator who can help navigate the trickiest situations, like the shuttle to the airport! That should be one of the tips. When in doubt, find a translator! Hi Susanne, sorry for the croissant attack...I have to admit that searching through my pictures made me very nostalgic for French pastries! I love girls' trips! So much fun! We just returned home from a family vacation and my daughter and I were able to squeeze in a shopping day and a lunch out with a friend while the guys went on and all day rollercoaster adventure. Debra, I love Paris, so I would gladly go back. Italy is on my bucket list, though, so that might be my next European vacation if I'm lucky enough to get to go again. Anita Mae, we'll be like old friends when we meet in Orlando. That's the great thing about the internet! Thanks for inviting me to visit today and having such a great topic this week! Jillian, I have a train story from my first trip to France, but it involves drunken soldiers singing at the top of their lungs--for five hours straight. Train rides are definitely for the adventurous in spirit! Thanks for sharing your story! Thanks, Patti! Being married is it's own daily lesson in communication. But we're getting there! Much luck in your travels!! It's my pleasure to be here--thanks so much for stopping by to say hello! And thanks to all you lovely ladies for keeping the conversation going in my absence. I've loved reading your comments and hearing your stories! Hey Steph, thanks so much for sharing your memories with us. I'd forgotten you were away from your computer or I would have posted a little note here. Yes, I know you told me, but ... shrug ... what can I say? Packing and prepping is interfering with my memory.